Five Huntsville City Schools join a list of 200 from the state as official Alabama Bicentennial Schools. Chaffee Elementary, Challenger Middle, McNair Junior High, Monte Sano Elementary, and New Century Technology High will all receive a $2000 grant to support each school’s Bicentennial project. Hampton Cove Elementary received an honorable mention for their proposal and will receive $500 for the school. Governor Kay Ivey announced the selections today at a special ceremony held in Montgomery with many school representatives in attendance. Governor Ivey started the initiative last December as a way to get students and teachers from across the state to participate and learn about Alabama history on the 200th birthday of its statehood in 2019. Each school project has the goal of connecting students with their local communities while also learning about the many contributions made by Alabamians throughout history to improve our citizens and state. Many of the school proposals include such ideas as mentorships, community gardens, and oral history projects. 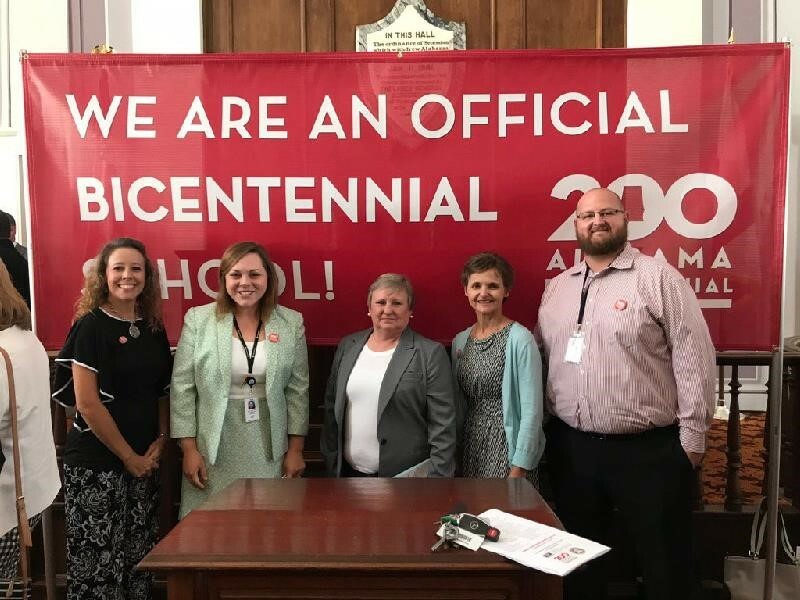 The Alabama Bicentennial Schools Initiative is presented in partnership by Alabama 200, the Alabama Department of Archives and History (ADAH), and the Alabama State Department of Education (ALSDE).